Real Madrid are reportedly still looking to bolster their attacking options late in the transfer window, with Celta’s Iago Aspas now linked with a switch to the Bernabeu. The reigning European champions lost their talisman Cristiano Ronaldo earlier this summer, with the Portuguese superstar completing a move to Juventus. Given he bagged 44 goals in 44 appearances last season to continue what was a trophy-laden stint in the Spanish capital, it’s arguably been a shock for most that Real Madrid haven’t already moved to replace him. Instead, with the new La Liga campaign getting underway last weekend, Julen Lopetegui has opted to show more faith in those already at his disposal, with the likes of Gareth Bale, Karim Benzema and Isco now seemingly given more responsibility. However, as per Sport, Aspas has now emerged on the radar for Real Madrid who are said to be looking for an alternative to Valencia’s Rodrigo, although his €40m release clause is said to be an issue as they’ll look to pay less. It’s a somewhat surprising link given the Spaniard is now 31 and isn’t a marquee name that many would expect Real Madrid to target in order to go for quality over quantity. Nevertheless, the numbers do tell their own story as he’s scored 55 goals in 101 league games over the last three seasons with Celta, with only Lionel Messi, Cristiano Ronaldo and Luis Suarez scoring more goals than him in Spain’s top flight last year. With that in mind, he’s certainly shown a clinical edge in front of goal in recent years, and so perhaps with the added link of working with Lopetegui for the national team too, he could suit his plans and be a sensible low-cost addition. 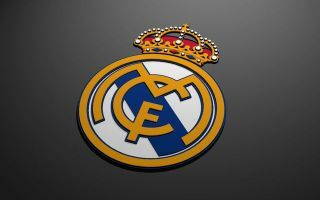 Time will tell if a move materialises, but with the transfer deadline now just a week away for Spanish clubs, Madrid haven’t got a lot of time to play with if they are to make their move.